HONOLULU, Hawaii, USA, Sep 7 2016 (IPS) - When the communities living in the Tatamá y Serranía de los Paraguas Natural National Park in the west of Colombia organised in 1996 to defend their land and preserve the ecosystem, they were fighting deforestation, soil degradation and poaching. Serraniagua is a collective of owners of nature reserves, associations of agrecological farmers, rural women’s networks, and local environmental groups in an area of 2,500 sq km inhabited by some 40,000 people, including indigenous and black communities. The work of Franco and his fellow activists earned them one of the 15 prizes awarded to “Hotspot Heroes” for their outstanding conservation efforts, by the U.S. Critical Ecosystem Partnership Fund (CEPF) during the 2016 World Conservation Congress (WCC) held in Honolulu, Hawaii in the first 10 days of September. The case of the Tatamá y Serranía de los Paraguas Natural National Park shows the importance of small-scale protection efforts that benefit the environment and local residents, in comparison to large-scale infrastructure works and their enormous impact on ecosystems. Local action is one of the main themes at this year’s edition of the congress, which is held every four years, organised by the International Union for Conservation of Nature (IUCN). 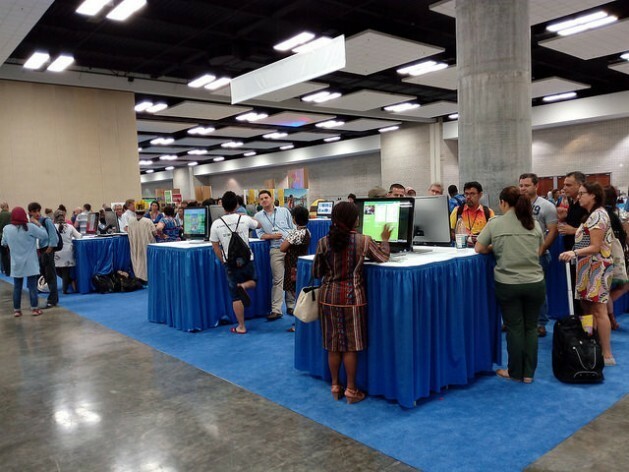 On this occasion it is hosted by the U.S. state of Hawaii, and has drawn 9,500 participants from 192 countries, including delegates from governments, NGOs, and the scientific and business communities. 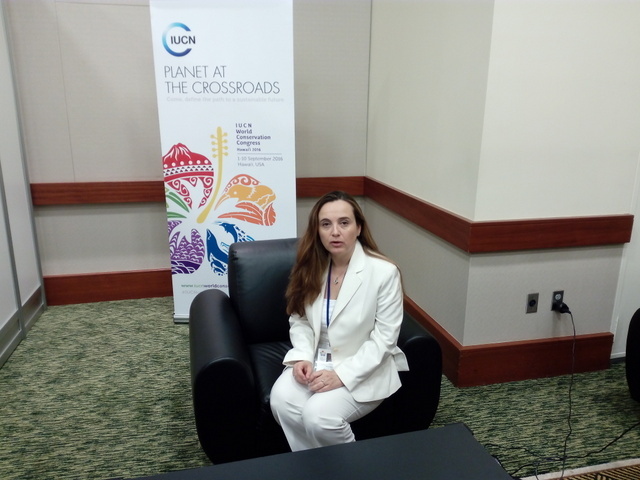 The congress, whose theme this year is “Planet at the Crossroads”, will produce the Hawaii Commitments, 85 of which were approved by the Switzerland-based IUCN Members’ Assembly, which groups 1,200 governmental and non-governmental members, prior to the Honolulu gathering. The debate in Honolulu is focused on 14 motions on controversial issues, like compensation for destruction of biodiversity, closing domestic markets for ivory trade, and improved standards for ecotourism. Three of the resolutions address conservation and the impact of major infrastructure projects like highways, hydroelectric dams, ports, mines and oil drilling. In the northwest Mexican state of Nayarit, Heidy Orozco, executive director of the non-governmental Nuiwari Centre for Social Development and Sustainability, emphasises the advantages of allowing the San Pedro River, the last free-flowing river in Mexico’s western Sierra Madre mountains, to remain dam-free. Small farmers produce crops along the middle stretch of the river, while fishing communities make a living on the lower parts. But the local ecosystem and agriculture, livestock and fisheries are under threat by the government CFE power utility’s plans to build the Las Cruces hydropower dam 65 km north of the city of Tepic, the capital of Nayarit. The plant is to have an installed capacity of 240 MW and a 188-metre-high dam with a reservoir covering 5,349 hectares. The Náyeri Indigenous Council and the Intercommunity Council of the San Pedro River, which emerged to fight construction of the dam, complain that it would hurt the Marismas Nacionales Biosphere Reserve, the most extensive mangrove forest system along Mexico’s Pacific coast. They also complain that it would destroy 14 sacred sites and ceremonial centres of the Náyeri or Cora indigenous people, the Huichol or Wixáritari people, and the Tepehuán people. In addition, it would flood the town of San Blasito. The dam’s environmental impact study acknowledges that subsistence farming and small-scale livestock-raising would be lost in the area, but says it would be replaced by new opportunities for fishing in the reservoir. In Bolivia, small-scale community conservation initiatives coexist dangerously with the construction of megaprojects. For example, in a mine in the Natural Integrated Management Area of San Matías, in Bolivia’s Pantanal region in the department of Santa Cruz along the border with Brazil, only one hectare has been used over the last 10 years to mine ametrine, also known as bolivianite, a kind of quartz that is a mixture of amethyst and citrine. This small-scale mine contrasts with the large-scale gold mining in the north of the country. “Small-scale development is a solution. A number of lessons have been learned, such as the need for benefit-sharing, the creation of effective conservation mechanisms, and respect for laws and agreements that have been reached,” Carmen Miranda, Amazon region coordinator with the Indigenous Peoples’ and Local Community Conserved Areas and Territories (ICCA), told IPS. In Guatemala, Q’eqchí communities near the Lachuá Lagoon National Park, in the northern department of Alta Verapaz, have restored the forest, grow organic cacao which benefits 150 farmers and their families, to be expanded to 500 this year, produce honey, and make sustainable use of the forest. “One of the best solutions for conserving protected areas is working with the people on a small-scale. We have a strengthened, organised community that is economically sustainable. That shows it is better to invest in communities rather than just barging in with major infrastructure projects,” said Grethel Aguilar, the regional coordinator of the IUCN office for Mexico, Central America and the Caribbean. Citing an example for IPS, she said that next January the IUCN would launch a project in the jungle in the south of Mexico and northern Guatemala and Belize, with close to nine million dollars in financing from the German Development Bank (KfW), to protect the forest and offer productive opportunities for local residents, who are mainly indigenous. Orozco, who is waging her battle a few hundred kilometres to the north, is not willing to accept any hydropower dam. “We will not benefit economically. We want development, public works that will take care of the water, but that don’t affect our culture and identity,” said the activist, whose network has brought several lawsuits against the Las Cruces dam. When it comes to conservation of forests and biodiversity , it is important to the sustainable growth and development of the local people and so it can only be achieved only through decentralization , and integration at various levels through effective coordination.Hence trickle down effect of benefits is quite important.